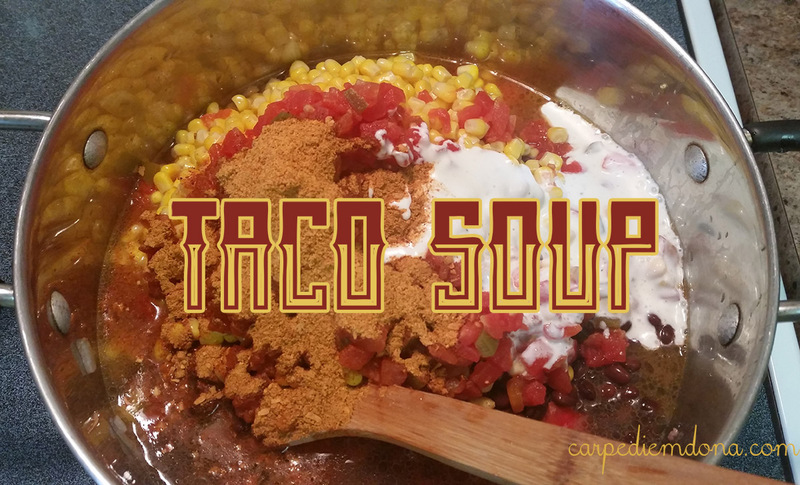 Simple, spicy and so good for the cool fall evenings….who am I kidding? It’s good all year round. This recipe closely resembles my Crock Pot Fiesta Ranch Chicken that I posted a couple months ago. This recipe makes a large pot of soup. 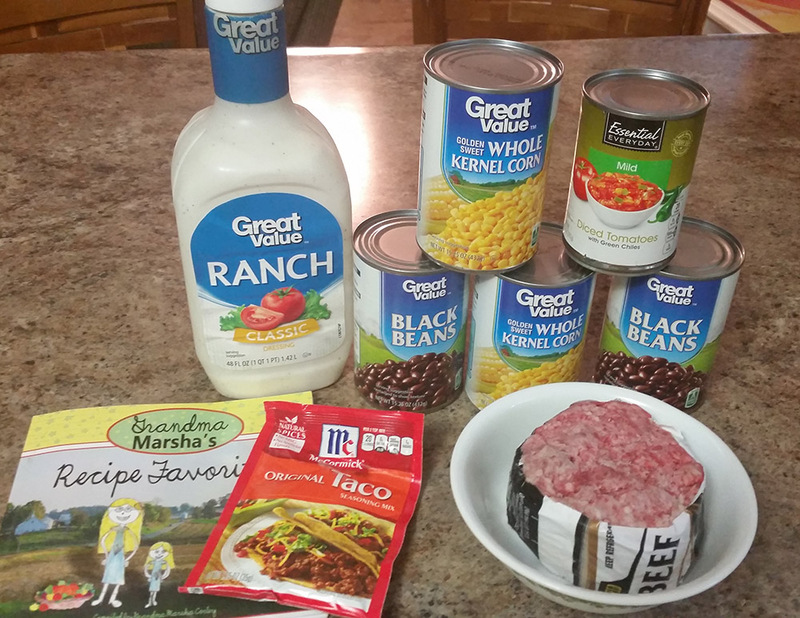 I’ve made it before using only one can of beans and one can of corn if I didn’t feel like I wanted that much. In a large pot, brown hamburger with onion, garlic, salt and pepper. Drain grease. Drain and rinse black beans and add the beans and all the remaining ingredients to the pot. Add water to the consistency you prefer (we like thicker soup). Cook over medium heat until soup is heated through. This recipe can also be made as a casserole by limiting the liquids (draining the corn and less water) and topping with a prepared corn bread mix and baked in the oven according to the corn bread directions.